Thought I’d share this lovely comment I received in October. Perfect place to play the game!! Just thought you might like to know how much our family love your card game. It was a real highlight taking it in our pack on our tramp on the weekend. 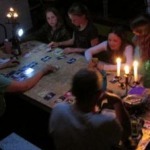 We stayed overnight at a tramping hut with another family and introduced them to the game. 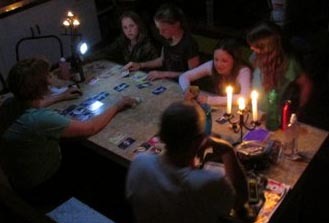 With a 7,8,10 and 11 year old we played until after 10pm in candlelight. Only stopping to hear the morepork and to check out possums with torchlight. Was a great location to play the game in!